Our world class training academy is focused on delivering training to meet the modern needs in areas, such as security, material handling, health and safety and much more. To see our full selection of training programs click below. RFC Call Centre provides a personalized answering service to businesses. Our service is tailor made to meet our client’s needs and packages. RFC operate a 24/7 manned control room in our head office. RFC Carpet Cleaning believe that maintaining a clean and hygienic office is so important as your customers, staff and possible future clients, first impressions count and this starts with your carpets. With RFC Painting and Decorating you can always expect the highest level of service. Our professional painting crews are prompt and reliable throughout the course of any project. RFC Towing and Recovery is based in Swords, Dublin servicing the Dublin and surrounding areas. Our company is highly experienced in the towing and recovery or your vehicle. Our RFC Car Park Management offers our clients a comprehensive Carpark Management Service that is available nationwide. Tailor made, cost effective package can be created to suit all requirements. RFC Security Group is a supplier of traffic safety solutions such as speed bumps, speed humps, parking stops, and bollard covers that help increase safety and prevent damage in parking facilities. Contact us today and see how we can help you meet your parking equipment needs. Our safe deposit boxes are protected by advanced security, meaning your valuables are kept safe and secure giving you peace of mind. Secure your family heirlooms, jewellery, data storage devices and artwork. 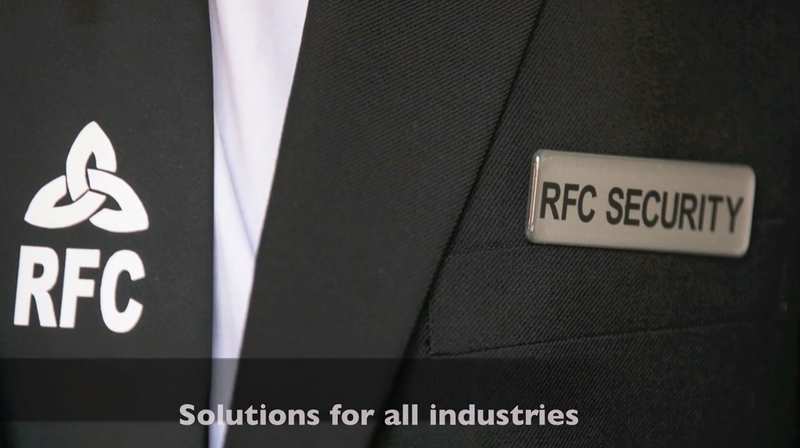 RFC Security provide all our clients with state of the art CCTV and intruder / fire alarms and maintenance. With over two hundred clients nationwide our specialists are at hand for expert evaluation and advice. We at RFC Landscaping understand how important your garden is to you. Our philosophy is simple, provide unique garden design solutions combining creative excellence with friendly and professional site management. VIP City Parking Limited are the corporate parking experts. If you need a space anywhere in the city centre contact us we have spaces available. Offering a wide range of cleaning services to suit any business, large or small, on a daily, weekly, or monthly basis. We are also happy to offer unique tailored solutions to suit any individual requirements. Cleaning your windows is a big job, and it can be very tedious, frustrating not to mention time consuming and very dangerous. This is why it makes sense to hire RFC Window Cleaning Service to do this for you. Truck mounted cherry pickers with provided driver/operator for hire. Available for daily/ weekly or monthly hire at very competitive rates! Our cherry pickers can reach a height of 18 metres. RFC Courier Services offer the complete range of same day delivery options. Our Same Day service means that you can rely on secure, timely, nationwide deliveries 24 hours a day, seven days a week, 365 days a year. Rfc have now got involved in building and renovating all types of building and maintainance work .No matter how big the job is from a home renovation to a home or business extension or a new build. Recently we were delighted to announce that we are now also in a position to offer Car Park Management services and as usual we offer these services at the most competitive rates in the industry. The fact that we can offer these amazing rates while maintaining only the highest of quality and standards in the service we provide has led RFC to already be widely recognized as leaders in the security industry. 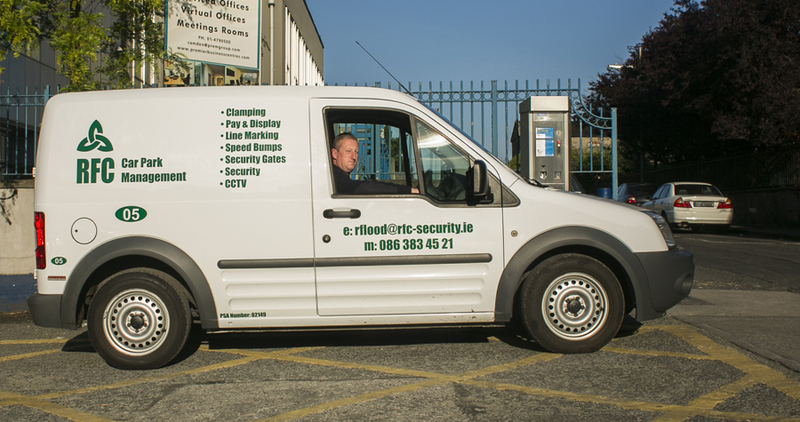 RFC is fully licensed with the Private Security Authority and ensures full compliance with all government legislation and is equipped to cater to all aspects within the Irish security industry. We've been using RFC Cleaning services for our office since last August and their service has been absolutely excellent. They leave the office impeccably clean. They are efficient and highly responsive if we have any extra needs or issues. Their staff are friendly and reliable. The whole team are very professional. When we moved in to our current office and were looking for new a new cleaning company, I rang around the other businesses in the area and RFC were the only company that came highly recommended. Commerz Management Services Ltd is a part of Commerzbank AG in Frankfurt Germany. We confirm that RFC Security Ltd has provided security services at Commerzbank House, Guild Street, IFSC, Dublin 1, as holiday and sickness cover for our in-house security/building manager. We have found RFC Security ltd to be excellent in every regard and have no hesitance in recommending them to anyone looking for security services. We are happy to confirm Sentinel Vaults use RFC for your security. Being a high security vault, we conducted an extensive, thorough and independent due diligence on all security firms in Ireland. Our number one choice was clearly RFC Security Limited. We have found RFC to be highly professional, efficient and reliable. Their security staff maintained a positive attitude and very obliging for our additional business needs. We shall continue to use RFC for the foreseeable future and it is not surprising why RFC has the best reputation in the market. We have no hesitation in recommending RFC to other companies. We currently use RFC Car Management to carry out car park management services at Westland Square, Pearse Street, Dublin 2. We have found them to be excellent in every way and have no hesitance in recommending them to other management companies. It is refreshing to deal with a company that listens to their clients and tailors their service to suit the exact requirement of the site, no two sites are the same and RFC have understood this and delivered a car park management solution to match the expectations of the users of this car park. I wish to confirm that RFC Carpark Management Security Limited have provided their security service to Murphy Moore Property Services since 2010. During that time we have found the administrative staff to be most efficient, helpful and available at all times to be of assistance. The security guards have always been very popular with the residents and carry out their duties in accordance with the agreed schedule. I would have no hesitation in recommending RFC to any prospective client. Should you require any further information please do not hesitate to contact me.